So everytime I drop by a town and start shooting up the place, it is natural to encounter lawmen, having a red blip with a black star in it. Shooting these doesn't make you lose nor gain honor which is pretty great. However, pure red (''hostile'') blips appear as well, most likely indicating hostile civilians who wants to set up a fight as well and protect their town with inferior force. When killing these, you will lose honor, but when watching slow-mo killcams, they will be wearing a sheriff bagde. Walk up to their corpses and they will be identified as ''lawman''. I am really trying to understand why the killing of such ''sub-tier'' lawmen has to result in dishonor. It seems unfair considered the fact, that they are de facto lawmen considered upon their appearance and label. Deputies. The game doesn't like you killing them for some stupid reason. You losing honor for killing non-star blips is by design. Random civilians that magically transform into deputies or turn vigilante on you is also by design. 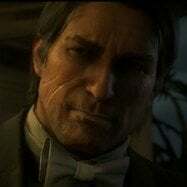 However, when such poorly designed systems come into conflict with one another, it stands to question why there is even an honor system in the first place when you play as a f*cking outlaw canonically.